I am looking forward to kicking off 2016! As part of our annual tradition, my best friend Keri and I will be going on a girls cruise to welcome the new year. We are sailing a Western Caribbean Cruise the Carnival Valor and leave one month from today! This tradition started 4 years ago, after I moved to Tampa. We always go on our cruises in January, since that is one of the cheapest months to go out of FL (and kids are in school). 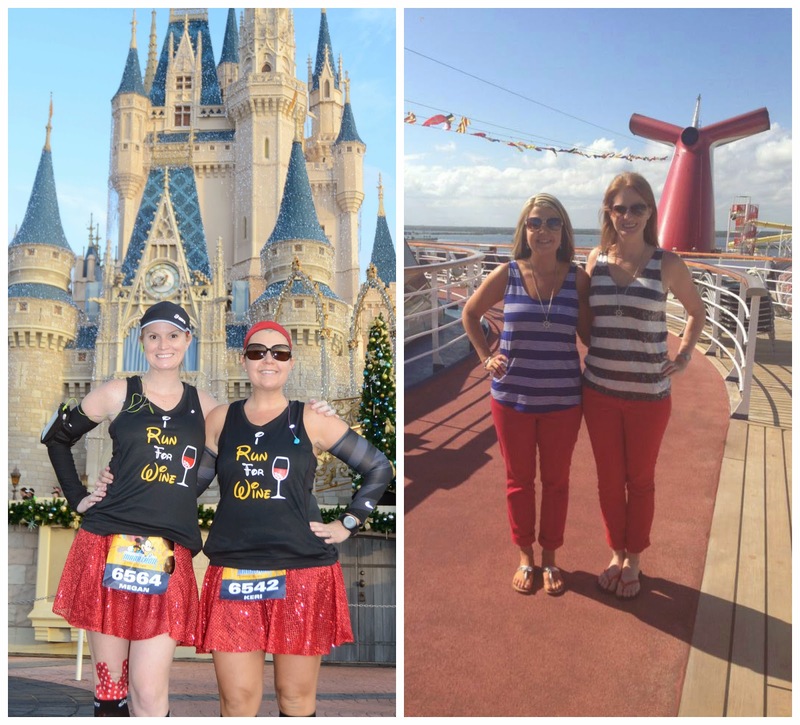 Since January also happens to be in the middle of runDisney Marathon season, we combined our traditional girls cruise into a celebration of crossing a finish line. The first year we did a combined girls trip/post race cruise was following the 2013 Walt Disney World Half Marathon. We left the day of the Marathon and there were so many other runners on that ship sporting their finishers tech shirts. I remember sitting next to a couple at the bar - he had just finished Goofy and I was in awe. Keri and I kept saying he was crazy to run Goofy and he kept telling us we could do it. I wish I knew him today as his words of encouragement convinced me to run the Dopey Challenge the following year. In 2015, we did a 4 night cruise on the Carnival Sensation following the Walt Disney World Marathon. It was the perfect way to relax post 26.2 miles. For 2016, we decided to change things up a bit by "only" running the half marathon. Following 13.1 miles, we will hop in the car and drive to Port Canaveral, boarding the Carnival Valor the same day as our half marathon! Port Canaveral is less than an hour away from Walt Disney World, which makes it a very easy commute for those looking to board a cruise the same day as a runDisney event. Here's a sneak peek of what we will be doing on our 7 night cruise to the Caribbean. Since this ship is going to many places we have never experienced, we will be doing more excursions vs. exploring the city on our own. 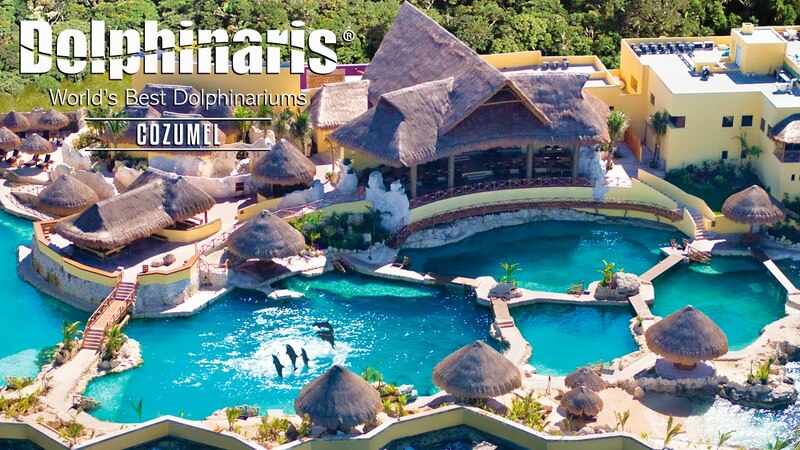 Our destinations include: Cozumel, Belize, Mahogany Bay and Costa Maya. Both Keri and I are looking forward to having a day at sea for the first day. We will take it easy and sleep in. Since Carnival offers a Sea Day Brunch, we will absoltuley be partaking in that. Since the Valor has the amazing Spa Carnival on board, we will likely do a treatment or even find ourselves in the Could 9 Thermal Suite. Talk about a perfect way to pamper your muscles after running 13.1 miles. My first cruise was in 2003 on the Carnival Imagination. We went to Key West and Cozumel, this being the only time I have been to Mexico. I don't remember much of that day in Cozumel so I wanted to be sure we do something memorable. We will be doing the Dolphin Swim & Ride with Unlimited Food & Drink. While we have done other Dolphin experiences, this will be the first time we are actually swimming with them. 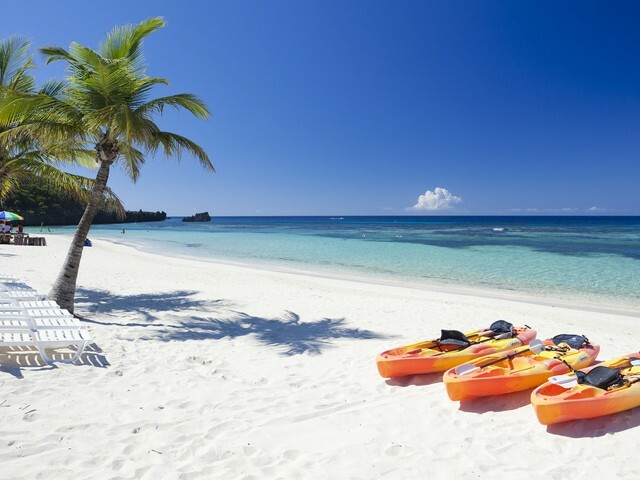 Throw in unlimited food/drinks, access to Serenity Cove, snorkeling through an underwater aquarium, kayaking and paddle boarding - for $119 a person, this excursion is a no-brainer. I also found out that my friend and ASICS teammate Heather www.throughheatherslookingglass.com is going to be in Cozumel the same day. Heather and her husband are also running the Disney World Half Marathon and leaving for a cruise on the same day out of Port Canaveral. I am hoping to see them - how cool would it be to see friends in a different country! Our excursion in Belize was the first thing we decided on. Keri really wants to go zip-lining and I really want to go cave tubing. 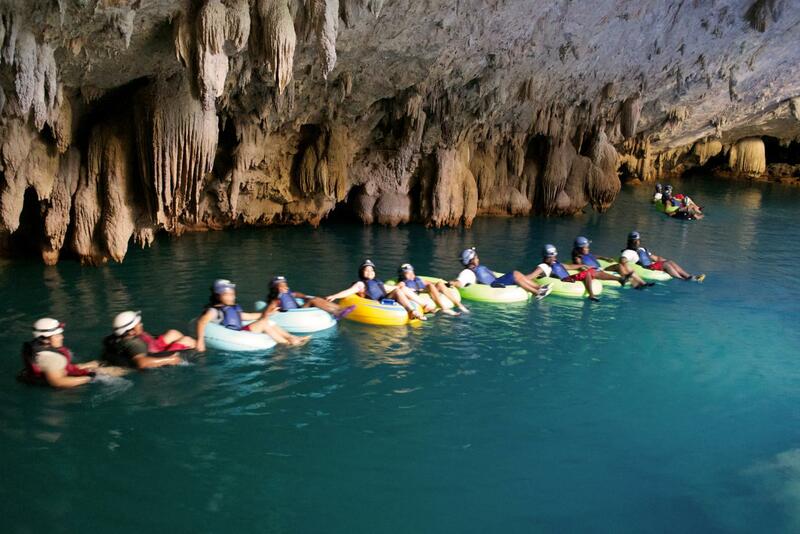 Luckily for us, there is a cave tubing and zipline experience. This sounds like such a cool unique experience. Although we would spend our entire day at Belize on an excursion, it isn't everyday you can cave tube or zipline through the jungle. We decided Mahogany Bay would be our beach day. There are multiple beach packages to choose from including a beach break for two at $39.99 total. Since our first two excursions are on the higher priced side, we will likely do something along that lines. All we need is a beach chair and drink w/ an umbrella and we will be happy! This is our shortest time at a port while on the cruise (7am-2pm). 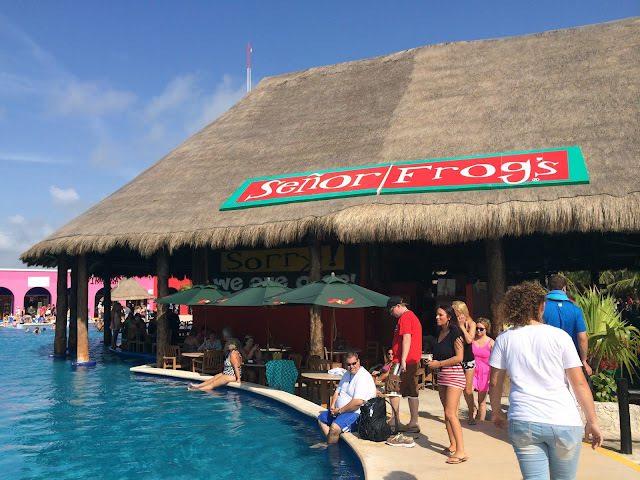 We will most likely belly up to Senor Frogs pool bar and spend our time there. My friend Amanda visited Costa Maya while on the Carnival Dream so I will be hitting her up for advice on what to do during our short port visit. Our last day on the cruise is a sea day. This is my ideal way to end a cruise, especially one of this length. We can relax, do whatever we want and be lazy, getting ready to go back into the real world.